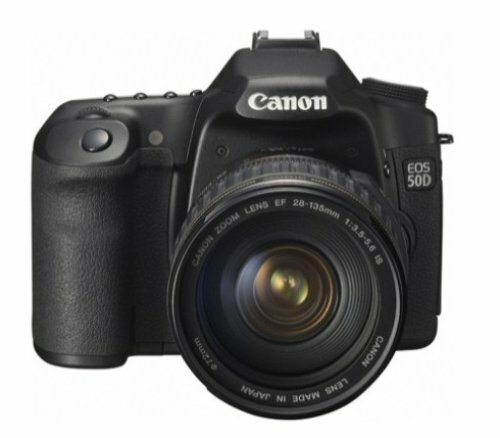 There are already a lot of detailed reviews about the 50D. With that in mind I’ll keep this brief. My background: I’m an amature with a lot of SLR experience. I started taking photography classes in high school…back when there were only film SLRs!. Photojournalism was also my major for one year in college. And since it’s been an on and off hobby of mine. 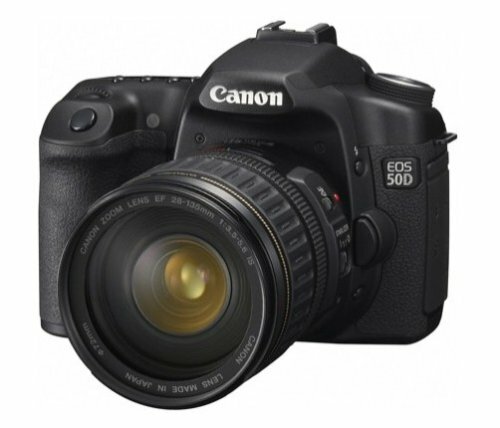 I have a Canon SD 700 IS but this 50D was my first DSLR.Maybe it’s because I work long hours and I’m not outside during the day, but most of my 50D photos so far have been in the late afternoon or evenings, or indoors. As such I’ve used ISO 1600 quite a bit. The images to my eye look fantastic! Within the menu system there are High ISO Noise Reduction and Long Exposure Noise Reduection options that can be turned on/off as needed.If one is to compare image quality of the 50D to the 40D, I think it’s interesting to remember the 50D takes larger, higher resolution images. In other words, the 50D images start out with more detail. And from the research I did it appears the 50D’s images can be sharpened and still have more detail than the 40D. There are good explanations of this on the web. Amazon censored out the article links I included but if you contact me I’d be happy to provide them.Anyway, suffices to say I’m very happy with my 50D’s IQ so far. I also like it’s super fast and accurate focusing! I haven’t used Live View very much but that feature has had its useful moments. The LCD screen is gorgeous! And the controls and menus are easy to navigate. To be honest, they were a bit overwhelming the first couple days but then quickly became second nature. 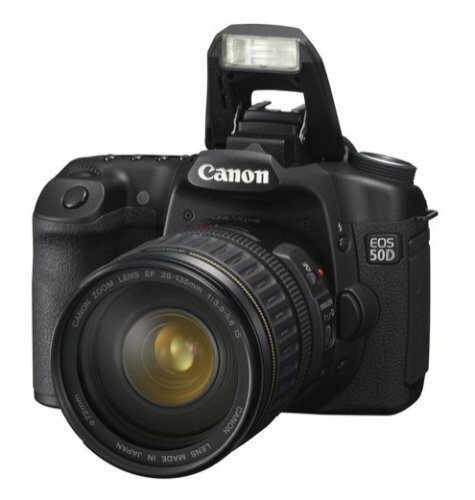 I also bought Jeff Revell’s Canon 50D: From Snapshots to Great Shots. It’s a “beginner” type book IMO, but still a good intro to this camera and a primer of DSLR basics if you’re transitioning from film to digital like I was.I bought the 50D body only from Amazon and got the Canon EF 50mm f1.4 USM Standard & Medium Telephoto Lens for Canon SLR Cameras from Adorama; they matched the price and they’ve been very easy to work with. OK that’s enough from me! If you happen to have any questions let me know, I’ll try to answer best I can. Cheers! When I was a teenager my parents got me a first-generation Canon AE-1 camera for a birthday present and I used that camera quite a bit for the next few decades. Unfortunately the cost of film and film processing prevented me from really learning how to make use of the camera’s full capabilities but the AE-1 was designed to also take excellent pictures easily even if one didn’t know how to utilize all the features available in the camera.Once digital EOS cameras started being produced I knew I wanted one so I could experiment without the limitations of film costs. Unfortunately for many years, the high cost of digital EOS cameras prevented me from purchasing one. That is, until the year my wife and I got a fairly heft tax refund check from the IRS. I was planning on using it on bills (like we normally have done in the past) but my wife, tired of hearing me lamenting the fact that I couldn’t afford a digital EOS camera, demanded I use the money to get one. 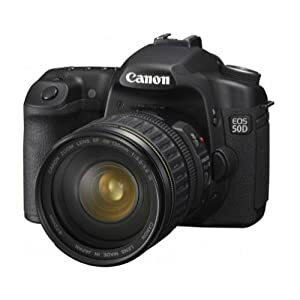 After doing a lot of research I decided to stick with the Canon brand and get the 50D (at the time the newest camera on the market).I have now been using it for over two years and have not had any problems with it. I think it’s an excellent camera for beginners as well as more experienced photographers and allows for a lot of experimentation with various settings. A newer camera has been recently released by Canon which seems to be getting mixed reviews. 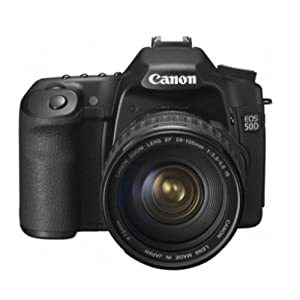 Hopefully the release of the newer Canon camera will cause the price on the 50D to drop somewhat.Definitely a camera I would recommend to family and friends. Although this camera is an old model (and used) I am extremely pleased with it. I chose this particular camera because it had very low usage (less than 2,000 operations). I do nature photography and frequently take 50+ photos in a day’s time. The only thing missing was the printed manual. All functions operate flawlessly. Physically it looks like a new camera.This camera became the 4th Canon DSLR I own two of which are newer cameras in the Rebel line and all of which were purchased new. Thus far I have taken only a few photos using it but it may soon become my favorite. I was worried about buying a camera “used” but this seemed like an awesome deal and it certainly turned out to be…the camera looks and functions like brand new and the price paid was worth it. Can’t find a thing to complain about concerning this purchase, one of the best buys I have done in a long time.